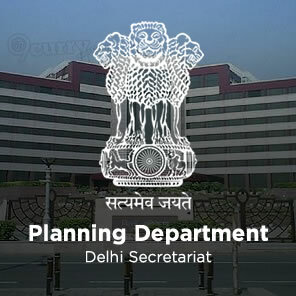 Delhi Planning Dept Recruitment 2019 - Below are various recruitment notifications published by Department of Planning, Govt of Delhi / delhi.gov.in. As of now, we don't have any active recruitment notification by Delhi Planning Dept featured here. We may update as soon as the organization announces a new job notification. 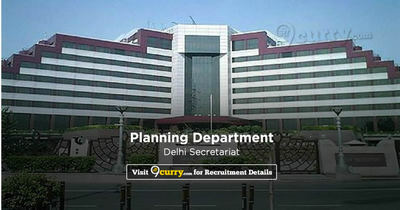 If you are looking for any information related to previously organized recruitment drives by Delhi Planning Dept, you can browse through previous job notifications mentioned below and get the new updates or information you are looking for. Delhi Planning Dept Recruitment 2019 - Job notification for 47 Assistant Public Prosecutors Posts in Delhi Planning Dept, Delhi. Applications are invited by Department of Planning, Govt of Delhi on or before 15 Feb 2019 for 47 vacancies. A degree in law from the recognized university. (i) Minimum three years experience at the Bar is essential. (ii) Experience as Govt. advocate is desirable. Eligible candidates may send their application in prescribed format (attached below) to Director, Directorate of Prosecution, Room No.172, Tis Hazari Court Complex, Delhi-110054 on or before 15 Feb 2019, along with attested copies of education qualifications, experience, caste or any other relevant certificate.